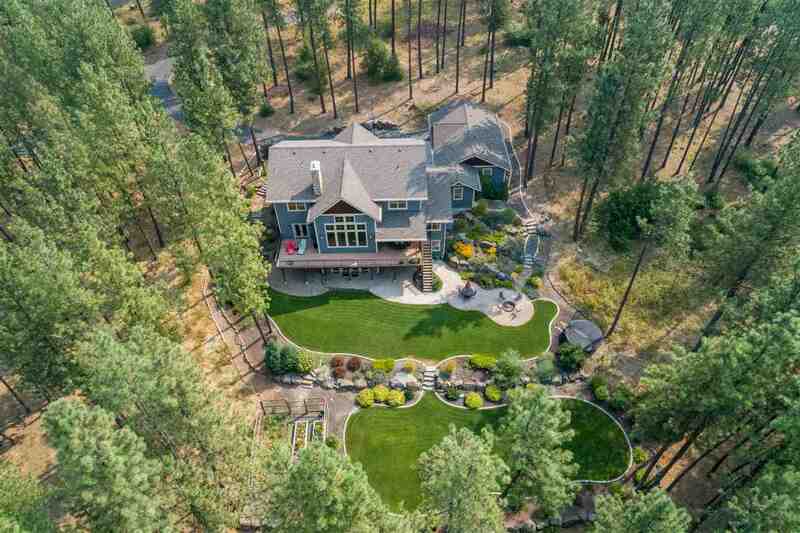 1304 E Hangman Ln, Spokane, WA.| MLS# 201913037 | Cooper Realty Services (509) 599-1111 | Spokane WA Real Estate | Contact us to request more information about our Homes for Sale in the Spokane WA area. 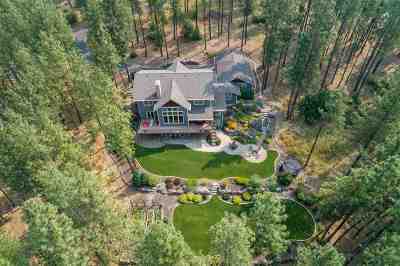 Exquisite Hangman Valley forested retreat! One owner, custom Craftsman 2-story situated on gated +/- 10 acres w/ amazing views, paved access, high speed internet & 10 mins to downtown/hospitals. Great room w/ floor to ceiling stone fireplace & timber frame accents. Chef&apos;s kitchen w/ hickory cabinets, granite, high end appliances, huge island & spacious dining area. Master suite w/ spa-like bath. Entertaining basement w/ full kitchen, media & exercise rm. Fabulous backyard entertaining, garden & landscaping.